Today the Forum was very quiet- perhaps there’s some kind of secret carnival going on that all the researchers have gone to. I took a field trip to Elephant and Bagel and imagined what it would be like to walk in there as Ada. It’s something I do quite a lot once I get to a certain stage with a character; I trace the paths I think they’d take and try to see things through their eyes. In this case I ordered a green tea and then had a chat to Ada about it (in my head. I’m not quite at the point of muttering out loud to myself. Not in public anyway). Since GIL wouldn’t be able to leave the Forum and come to the coffee shop, later on I spun my office chair around and spent a good amount of time staring out of the window and imagining what it would be like to only every see parts of things- the outside of a building and never the inside, the back of a person walking down a street. I ended up writing a conversation between Ada and GIL about St Giles. From my new desk by the window you can see the top section but no more. GIL would be able to learn about it from the website, see photos of it on Flickr, read peoples’ tweets and blog posts about what it felt like to be inside. But her could never experience it for himself. How very sad. Fortunately I have the ultimate cure for sadness: a large pile of sleepy kittens. 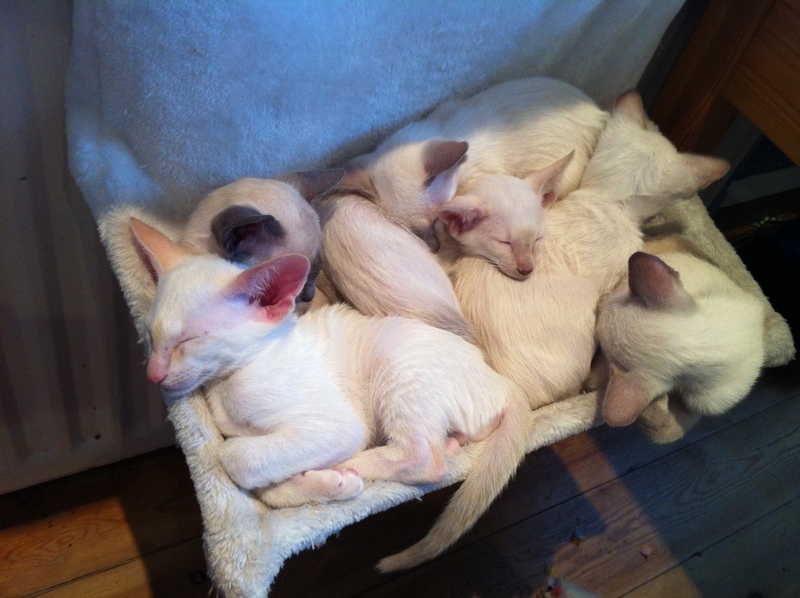 A friend of mine is a cat breeder and I went to visit her and these seven 8-week old siamese bundles of joy yesterday. The memory has kept me zen all day (topped up by lunchtime yoga). 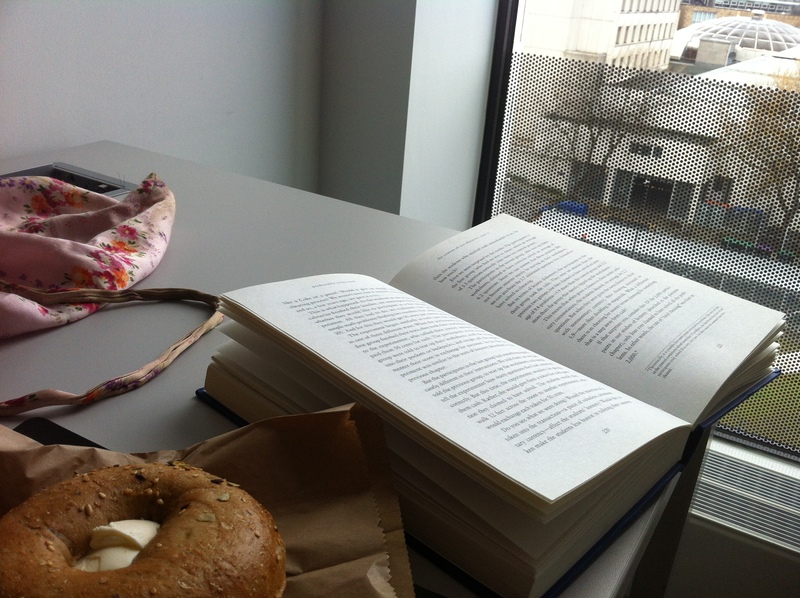 I’ve also finished reading several books recently. The most relevant one to my work at Informatics was Dan Ariely’s Predictably Irrational, which i’ve been reading in fits and starts for what feels like months as the library edition I borrowed is too bulky to carry between cities with me for ‘proper reading’. The book is a soft read, backed up by hard science. Through a series of human-based experiments, Ariely demonstrates how illogical our choices are, how we rationalise and justify after the fact, and how our human logic is about as illogical as it gets. There’s something glorious and delighted in the book; rather than bemoaning our irrationality he celebrates it; rather than trying to fix it, he tries to understand it. He also makes a lot of wry jokes about students and bankers and bases many of his experiments around beer and stealing money. The other books have been a stack of unrelated fiction. I’d like to pick Helen Oyeyemi’s Mr Fox out of them as one that gave me especial pleasure, particularly for her choice of vocabulary. Push by Sapphire was heartbreaking, and The Snow Child by Eowyn Ivey was a crisp retelling of fairytales (ditto Mr Fox); something that generally gets my vote.